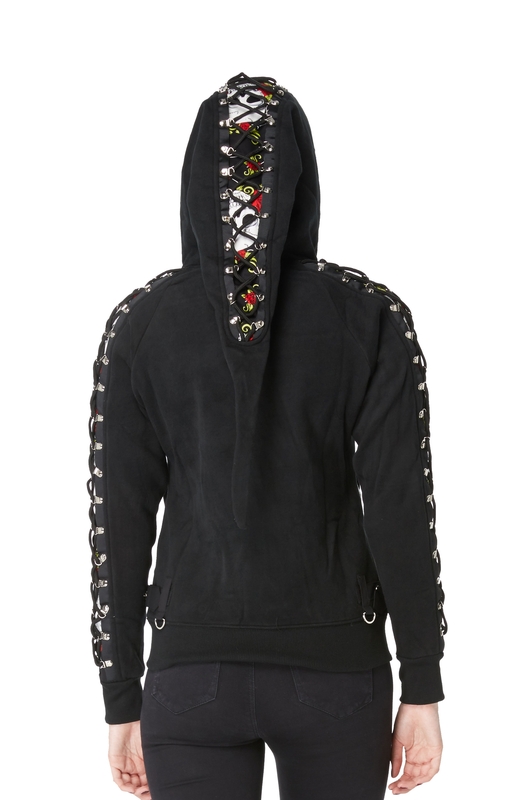 Goth inspired black hoodie with buckle and d-ring lacing elements. 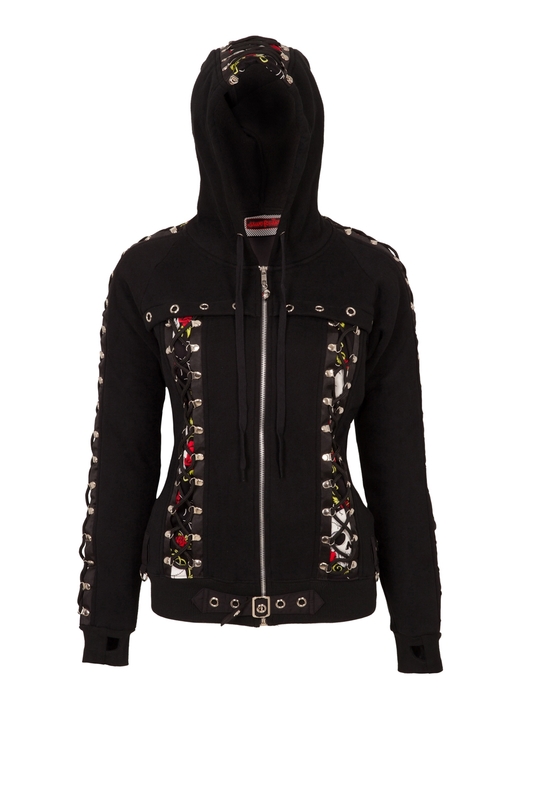 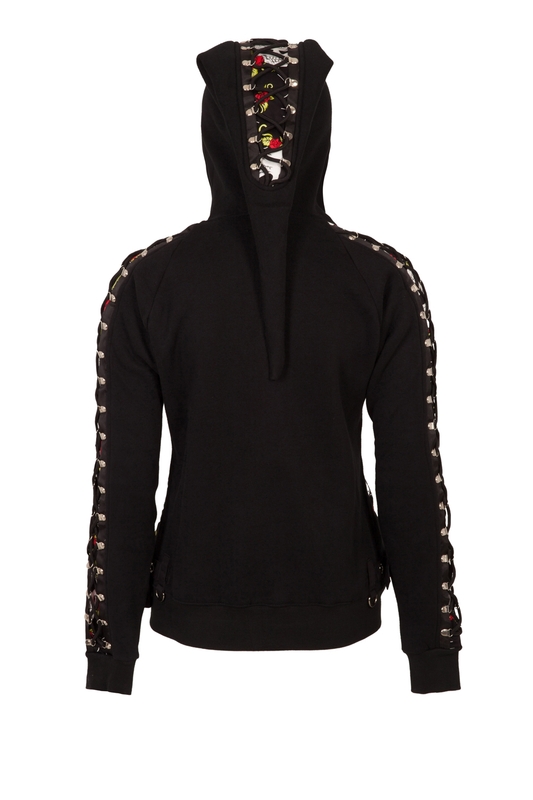 With it's twin front lace-up panels, side buckles and contrast skull and rose print fabric inserts, this hoodie is the real deal. 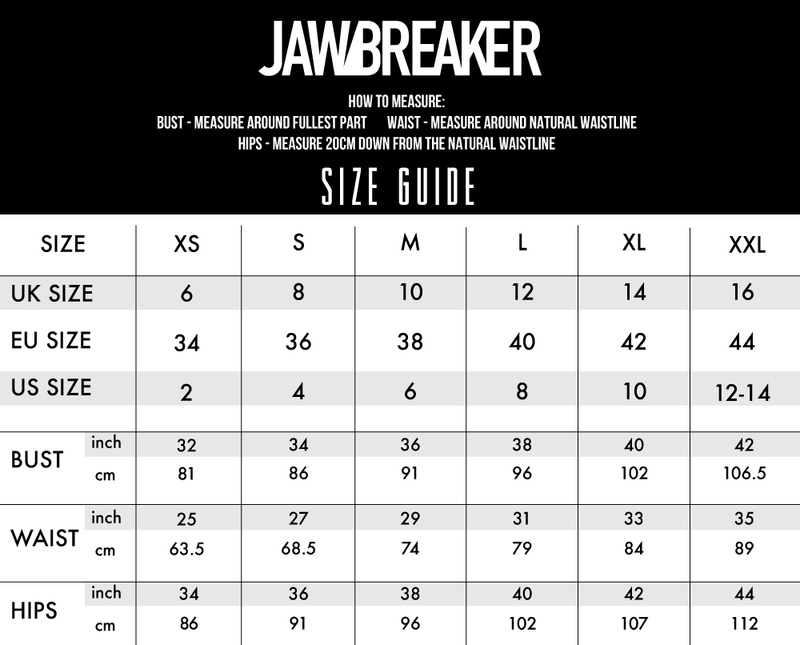 Corset lace-up details on front and down sleeves.